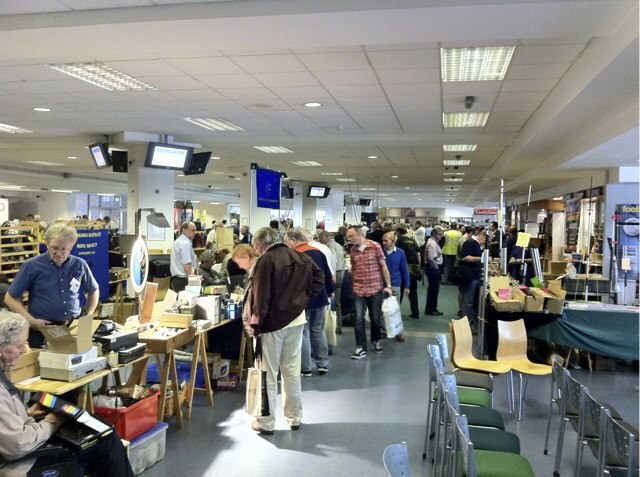 Today was the day of the Kempton Park Rally, this is a rally I’ve not been to before but I wanted to pick up a couple of bits so I thought it was worth while attending. I also hoped to meet up with a few people I’ve been twittering with for the last six months or so and this was an ideal opportunity. I got up later than expected and so left home with no chance of getting there for the start but that wasn’t a great problem. 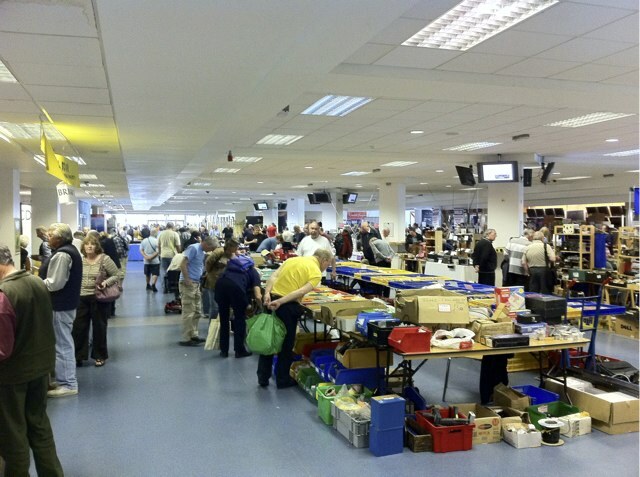 I had three stops on the way, cash, breakfast and fuel and arrived at Kempton Park racecourse at around ten to eleven. Once in I had a quick wander around and then soon hooked up with some people – In the end I met the following Twitterers: @g1lkj, @2e0sql, @rmc47, @m1acb, @m0mjh and @m3jfm which was an absolute pleasure. I also had chats with Steve at the @wsplc stand and my sponsor, Martin at the @HamRadioUK stand. I’ve not seen Martin for many years so it was nice to catch up. Just before leaving I had a good talk to a gentleman on the Practical Wireless stand and it turned out that he was Steve Hunt, the owner! I had no idea. Despite the fact that the car park was absolutely chock full, the rally itself never seemed crowded. There were a lot of people there but the venue is very large and it was never a crush. Hopefully that little lot will help prevent RF getting in and knackering my internet connection in future. This entry was posted in Amateur radio, Rally. Bookmark the permalink. Great to meet you finally, Keith! Definitely worth the trip, even if I didn’t actually buy that much – but great to meet up with a whole load of people I’ve not seen for a while. It was big enough to keep me busy, but not so big you felt you couldn’t get round the whole event. 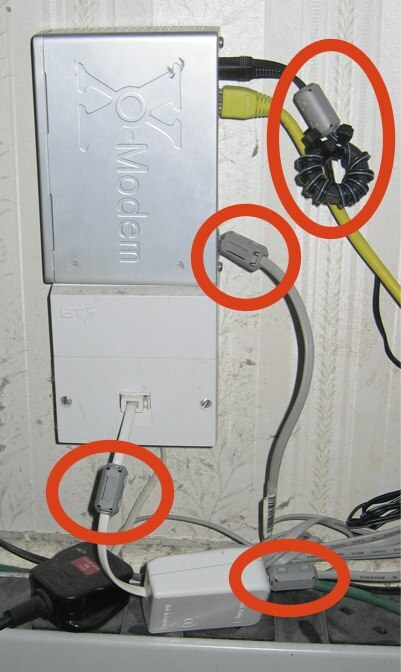 …oh, and interesting to see it’s not just me who was knocking out my ADSL modem! In the end I moved it downstairs next to the master socket, and ran Cat5 up to the shack instead. Much happier now. I’m hoping it’s not going to come to that but for some reason my ADSL profile is still awful today – I did a speedtest before I left for work and was getting just over 1Mbps upload which is a quarter of what it should be and an upload speed of 0.05Mbps which is absolutely terrible. The latancy returned was about three weeks (this might be a slight exaggeration)!